TOP Farmer Experience! Come and Experience Life on a Real Dairy Farm. You can taste fresh milk! * If you also want to make ice cream, please allow an extra 30 mins. Our dairy cows are very calm and quiet but they produe lots of milk every day. You will know our big, warm, and calm cows have very cute eyes. Why don't you come and have a look? You can get this close to our friendly calves! Now, do you know how to make butter from fresh milk..., just try! Our home made soft ice cream cones are sold for 280 yen each. *You can add option ice cream making. If you want to, please make a booking with [Farmer Experience]. * This tour cannot accept customers that travel from or have traveled to China or Korea within 1 month prior to your booking, due to epidemic diseases that can be transmitted by humans. * Small children (Ages 3 or up)also can participate in this activity. Please participate with an adult. Please wear comfortable, easy to move in clothing which can get a little dirty. Cow milking, calf petting, butter making and tasting milk fees. Ice cream making fee for those who book this program, if you add. Take Route 36 in the direction to Kita-Hiroshima. Take a right at the intersection of Eniwa-no-Yu (Eniwa Spa), and you will find our signboard. Take Route 36 in the direction to Chitose. Take a left at the intersection of Eniwa-no-Yu (Eniwa Spa), and you will find our signboard. Please get on the taxi from East exit of JR station. No pickup and drop off service available. Please come to our farm directly. 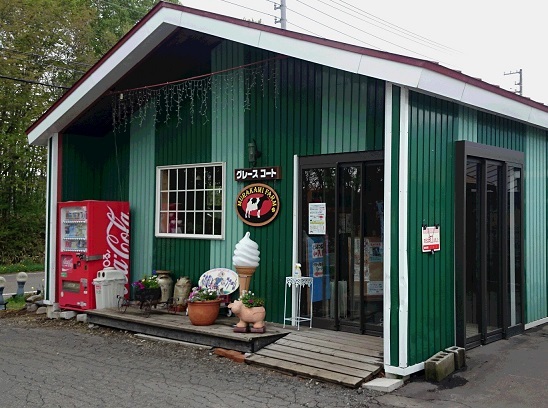 * We also offer ice cream making (serving size of about 4-5 people), for 2,000 yen per group. If you would like to participate, please book for this program together with the dairy farm experience program when making your booking. * Farm Shop Grace Court is closed every Tuesday on Mar., Apr. and Nov.
* This tour cannot accept customers that travel from or have traveled to China or Korea within 1 month before the start of the tour date, due to epidemic diseases that can be transmitted by humans. 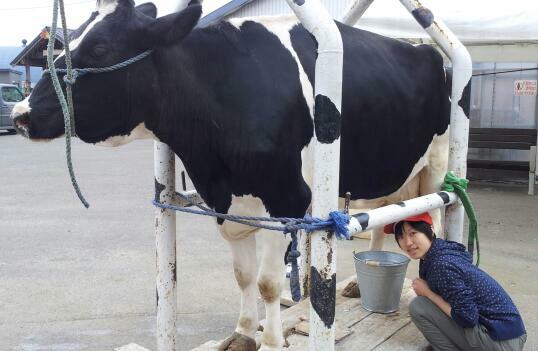 One of Eniwa's leading full-time dairy farms, we started the operation since 1988. Please come and enjoy with our place!